While Tom Holland has safely swung into the hearts of the Marvel Cinematic Universe, Sony always had larger plans for a Spider-Verse on their own terms. While Spider-Man may be nowhere around, Sony hoped it would be no worries, your eyes would be glued to Tom Hardy in his portrayal of Venom. Indeed the classic Marvel villain finally gets a chance at a redemption on the big screen following a lackluster reception from Spiderman 3, all the way back in 2007. While the film has its moments, diehards of the comic book character expecting a faithful page to screen adaptation will be disappointed. Director Rueben Fleischer and Tom Hardy have gone for a different interpretation of the character; it would have been nice if they had let the rest of the cast in on the premise. The action starts off in San Francisco, leaving the original comic home of New York City, where Eddie Brock (Hardy) continues his journalism career while he lives with his fiancee, Anne Weying (Michelle Williams). His current focus is on The Life Foundation run by Carlton Drake (Riz Ahmed), and its questionable business practices. Drake and his team are currently in possession of a number of symbiotic lifeforms recovered from an expedition to space. Ahmed, one of the more talented and underrated actors working today, finds little to do besides be a caricature of Elon Musk in a narrow performance. On the other hand you have a two-time Academy Award nominee in Williams, who is left to play the stereotypical girlfriend, seeming to be there to push buttons and make Eddie even more upset once they are broken up. 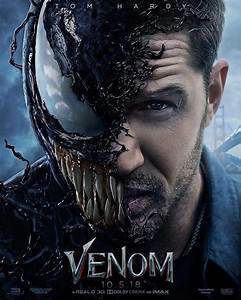 The one redeeming quality in the film is Hardy himself, who plays it almost as if its a buddy cop comedy with Venom as his symbiote who has bonded Eddie. Hard times fall on Eddie, and yet six months after getting kicked out he finds his way back in and his life is changed. What happens then is a mash up of action scenes and at times, some not very good CGI. The plot is predictable and Hardy’s performance seems a little wasted. The risk of putting a lesser known character into its own movie, separate from the safety of the MCU, without Spider-Man is a risk that doesn’t pay off. Indeed, one of Spider-Man’s greatest villains has somehow morphed, literally, into the good guy. While I can buy this premise as a one-off film, I find hard to comprehend how Sony wants to incorporate Venom, or other potential Spider-villains (stick around for a surprising mid-credit scene) within the MCU or against Spider-Man. 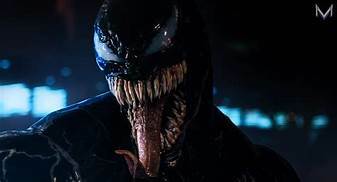 While Venom has already made a boatload at the box office despite the negative critical response, it seems a certainty that Sony will go ahead with its Spider-verse as audiences continue to gobble any and all comic book adaptations. What we as an audience can hope for going forward, and indeed Hardy deserves, is better material around him. One can only hope Sony’s next foray, Spiderman: Into The Spider-verse, will pay better homage to the universe.